We invite you to a very special event and reception at Norman Felix Gallery. 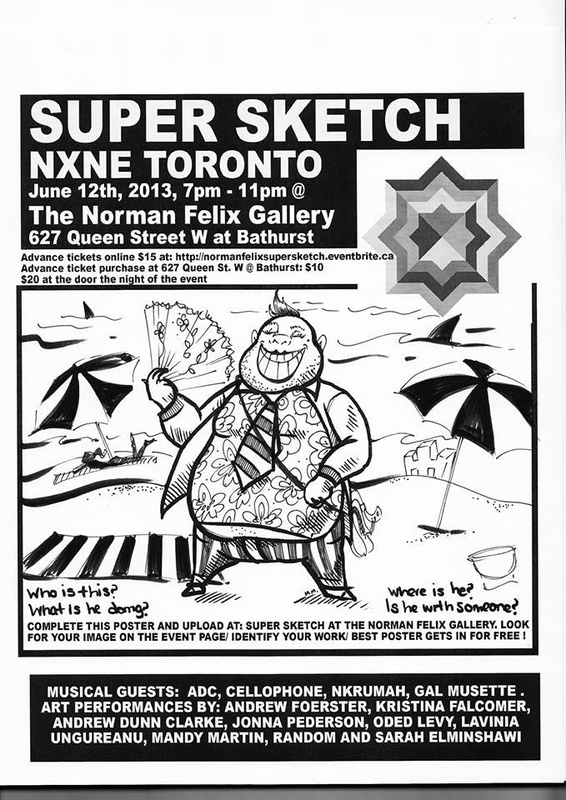 As a part of NXNE Art, Norman Felix Gallery and artist and curator Sarah Elminshawi present ¡SUPER SKETCH! Wednesday June 12th, 7-11pm. See you there ! Save the date , June 12, 2013 ! 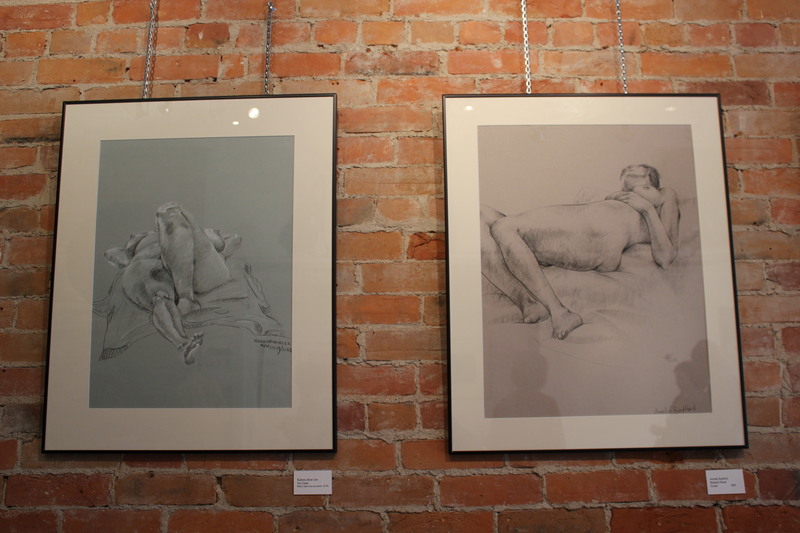 A series of Life Drawings from Rosedale School of the Arts. One gallery visitor who came to the show wrote a very thoughtful review of the exhibit… read some of his kind words below. here I am in a downtown Toronto gallery surrounded by a select group of life studies. the other, bodies and spirit. The mechanics of form, in other words, with the facts of life. are pleasure, transgression, and the possibility of being human. We are cut, and so defined. To draw out the human is to shadow, and so to articulate. Five N’ Dime Pop up @627 Queen Street West ! Tomorrow is the first day of an exciting pop up taking place at the gallery ! 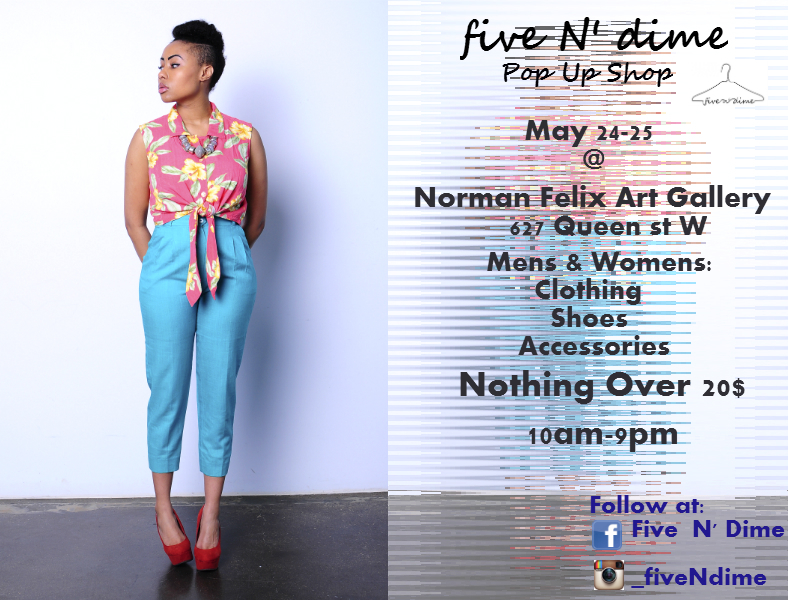 Five N’ Dime Pop Up has clothing, shoes, and accessories for those thrifty, and trendy people ! NOTHING IS OVER $20! So, if you’re looking to add some cool pieces to that summer wardrobe, there is no where else to be but cruising in the Queen street west neighbourhood ! 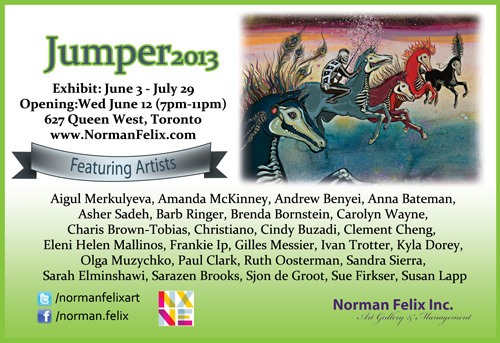 This year’s annual Norman Felix Jumper is collaborating with NXNE Art ! 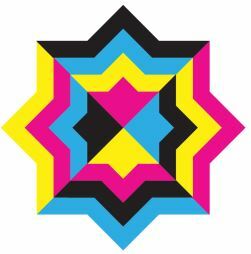 This is an exciting event, as it is also art, and a musical event with live music in the space ! 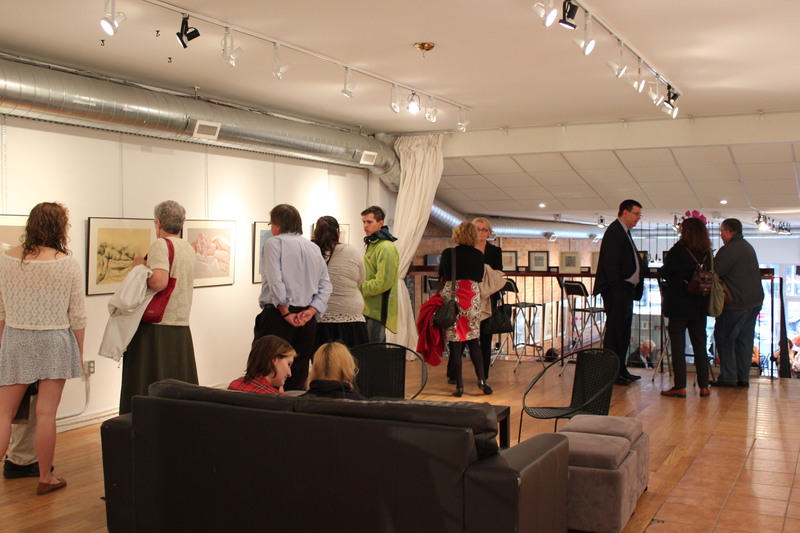 Wednesday, June 12, 2013 is the reception date, and all the fun for NXNE Art will be taking place that night from 6-11pm ! Stay tuned for more information ! Our Contact reception for Norman Felix Field of Vision last Friday was such a great time! Beautiful Photography and beautiful people. We still have some wonderful pieces available and are currently taking appointments with buyers, as well as any businesses interested in our ArtStop program. Connect with us at art@normanfelix.com. Now we are about to welcome our third Contact Photography Festival show into the space! ” Seniors Expressions is a community photography project organized by University Settlement and funded by the Government of Canada’s New Horizon for Seniors program. It provides an opportunity for seniors to share their rich and vibrant life stories and have their images captured as lasting memories. 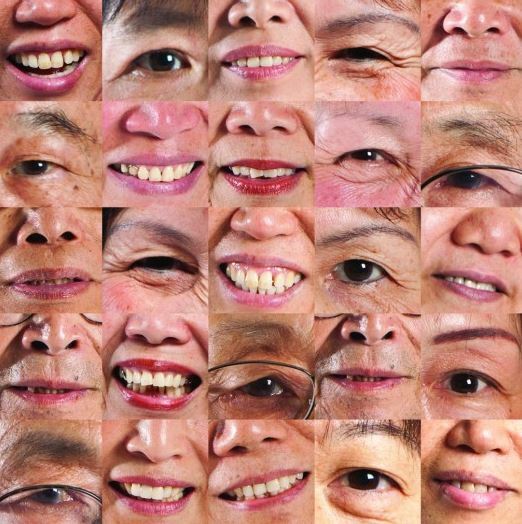 This exhibition showcases the oral histories of seniors in the Grange community, portraits of the participants, and a community photographic mosaic. Hope to see you at Norman Felix Gallery soon! 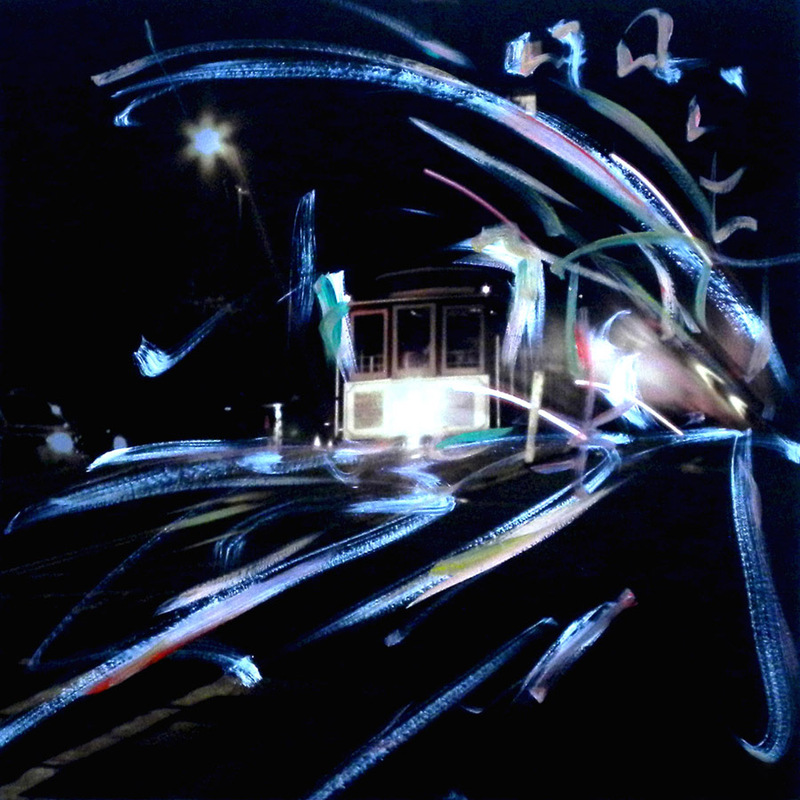 Cityscapes and urban life are the focus of Kasprzaks work. His innovative technique and contemporary vision bring his dark images to life. Join us at Norman Felix Gallery for Contact 2013, Friday May 10th! Please click this link to RSVP and guarantee admission to the event.